He Is Such a Galoot. - Ramblings of Mad Shutterbug & the Border Collie Bros. He Is Such a Galoot. Makes him sound like a circus performer or something. Nor, of course, is flying. 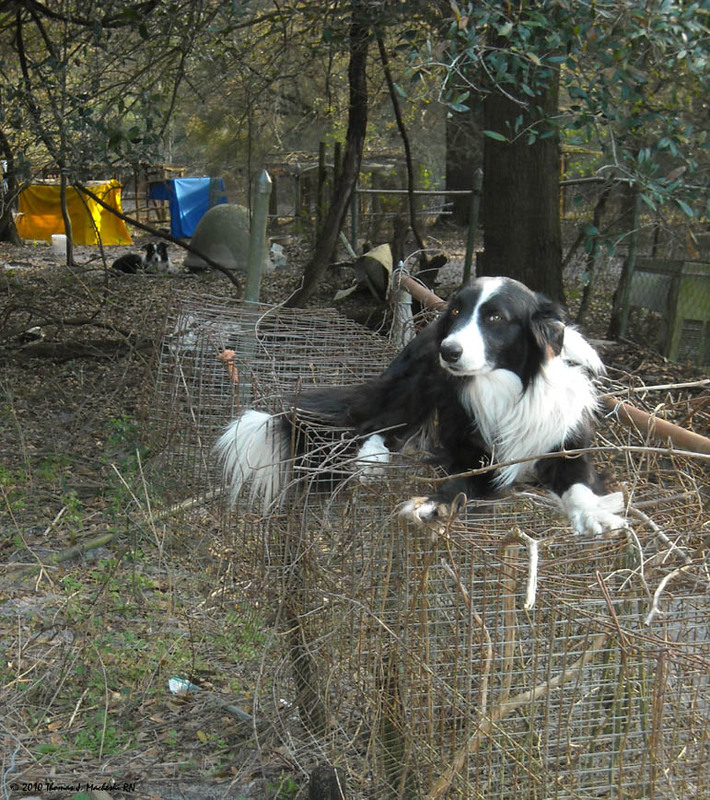 Simply perched on top of a long bird cage fastened to remnants of the old kennel fence. I suspect he does this to be 'rescued'. An alternative is to provide a better vantage point to watch for my arrival home. I provide the alternative because if I ignore him he'll climb down the opposite side, where he climbed up. That's Smudge in the background. It is Friday. I am home. I am tired. Why am I tired? What possible reason for being tired do I possess? Oh, dear! That doesn't look very comfy! Of course you are tired. You worked all week. Houdini is a beautiful dog...I guess he comes by his name honestly. I'm on a 4 day work stretch from hell right now, but that's a whole other post. Error running style: S2TIMEOUT: Timeout: 4, URL: madshutterbug.livejournal.com/494897.html at /home/lj/src/s2/S2.pm line 531.